Nepal is the home of the Himalayas and the tallest mountain on earth, Mt Everest. Mountaineers, trekkers and adventure seekers come to Nepal to experience what is undeniably the biggest mountain range in the world. With 8 (out of 14) of the world’s tallest peaks at over 8000m located in this small country nestled between India and China. 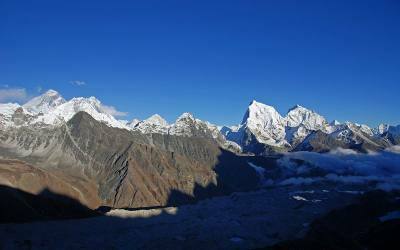 This is the starting point for many mountaineering expeditions which bring in hundreds of climbers each year. 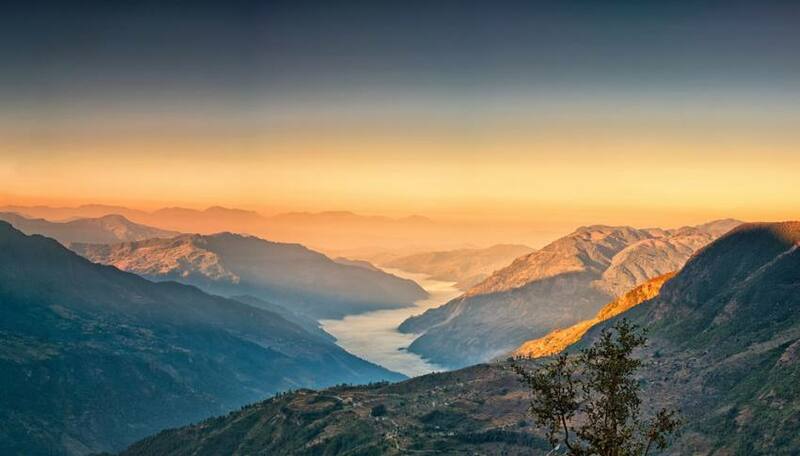 It is not just a place for serious adventurers, with many trekking routes that range from easy to difficult that allow just about anyone to experience the magnificent mountains, villages and spiritual locations dotted throughout the country. It is a country of incredible beauty with rolling hillsides and cute villages under a backdrop of magnificent snow-capped peaks. Much of the life outside of the cities have not changed much over the decades. With rice fields and other crops terraced on the hillsides and dotted with traditional style village houses dominating the landscape. It is easy here to view and experience traditional life, to meet the friendliest people on earth whos smiles and Namaste will capture your heart. Life here is very simple and for a tourist, it provides unlimited opportunities for experiencing different cultures, lifestyle and architecture. Nepal is a country with very little flat land. With raging rivers running through deep gorges it is very popular for rafting and for other adventure sports such as canyoning, kayaking and bungee jumping. It is also a popular location for paragliding and ultralight flights too. In fact, you don’t need to be an adventurer to experience this, any commercial mountain flight in Nepal will be exciting, or if you wish to get a close-up view of Mt Everest without any walking there are options for scenic flights that you can experience easily. 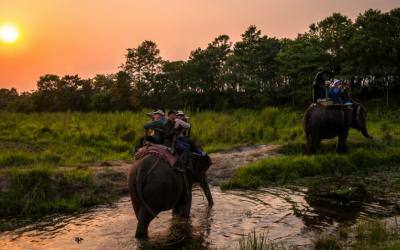 The Terai is the home of the jungle safari, where nature reserves and national parks abound with one-horned rhinoceros, elephants, tigers and a host of other wildlife. Perfect for families elephant rides through the jungle are popular as are the jeep safaris and cultural shows. Nepal is one of the most incredibly spiritual places on earth. Buddha was born in Lumbini, Nepal and the monastic tradition here is very strong. You can trace the steps of some of the great teachers with many sacred sites here or visit the hundreds of monasteries throughout the country. The mountain regions have a strong Tibetan Buddhist influence and the paths are lined with mani walls, gompas and prayer flags. Hinduism is the main religion of Nepal and there seems to be a temple or place of worship on nearly every street corner in Kathmandu. There are countless holy pilgrimage sites here and you can see many people making these pilgrimages as well as sadhus with their colourful painted bodies and dreadlocks. Some of these temples are incredibly old and there are many UNESCO World Heritage sites of cultural and historic significance to explore. 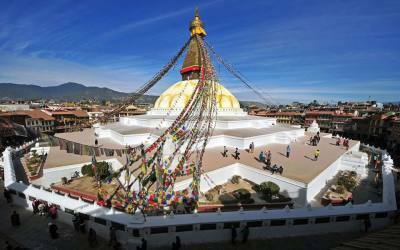 As a travel destination, Nepal is a very easy place to visit. 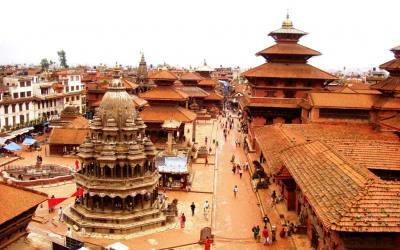 Compared to most countries in the Asia region Nepal is probably the easiest and most tourist-friendly destination in the region. Most people in the tourism sector speak very good English and even in villages, many children speak some English. It is easy to stay connected with free wifi in many places in Kathmandu and a small fee to use wifi in lodges in the trekking regions. It is simple to purchase a sim card for your phone and cheap to buy data. The data service is great in most large towns and cities. There is even data in some more remote places (like Everest Base Camp). There is tourist transport readily available to most destinations and plenty of local buses. Taxi’s and private transport are relatively cheap by international standards. In most places, there is a good selection of western foods (in case you don’t like local cuisine). 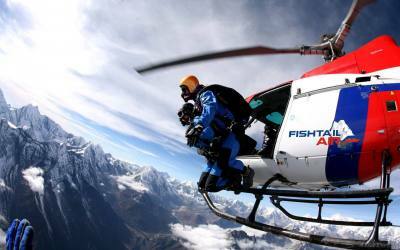 As far as safety is concerned Nepal is possibly one of the safest countries to visit. Generally speaking there is very little crime and with a culture of putting the needs and safety of tourists as the first priority means that with some common sense practices the chances of problems are minimal. Having said that the topography of Nepal is extreme with bumpy local roads perched on narrow cliffs, trekking routes to some of the most inhospitable places on earth and busy chaotic roads in Kathmandu means that you need to be careful with your physical safety. Always follow safety advice from your guides and be sensible with transport and you will be safe.